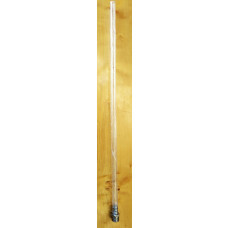 Perfect for containing hops while brewing beer and prevents hops getting into your chiller or fermenter! The spider sits over the edge of your kettle or keggle. During the boil hops can be poured directly into the spider. The spider is suitable for up to 300grams of hops. The basket is 35cm high with the opening at the top being15cm diameter and tapers down to a 10cm diameter at the bottom. It’s completely made from 304 stainless and the mesh is 0.2mm aperture so it will capture 99% of the hop material while still allowing the hops to move in the kettle so you get good hop efficiency. The Mangrove Jack’s Hop Spider keeps hops together during the boil. 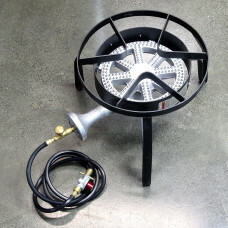 It can be used on all appropriate sized boil pots, including the Grainfather. Made with a coarser, 800 micron mesh, for maximum wort flow and increased hop utilisation. 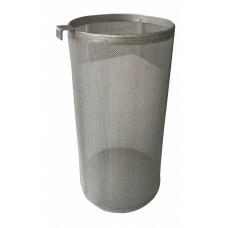 Specs Diameter: 15 cm Length: 30 cm Material: 800 micron 304 grade stainless steel mesh, with stainless steel support band and single hook.